Poster 'Norfolk - See Britain By Train' by Lance Cattermole. 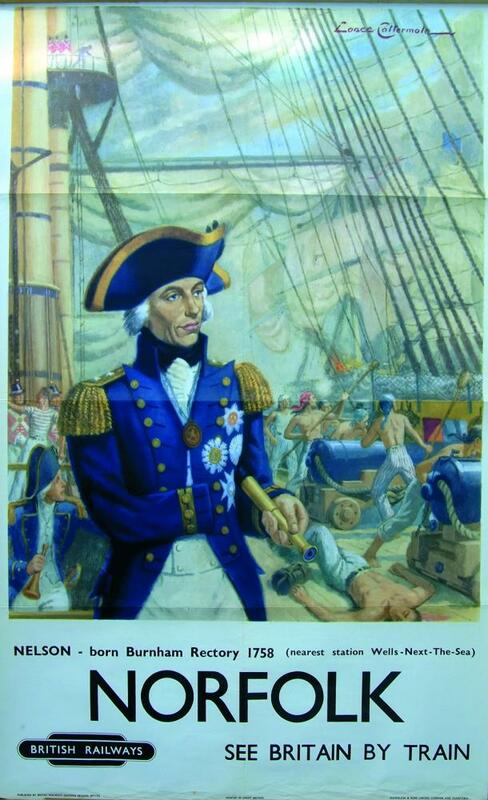 D/R size depicting an image of Admiral Nelson (born Burnham Rectory 1758 - nearest station Wells-next-the-Sea). Published by British Railways Eastern Region and printed by Waterlow & Sons. Folds otherwise extremely good condition.